Are You Truly Prepared for the Risks Facing Your Business? Determining the risks facing your business can be a difficult challenge, especially when you are personally invested in the process. No business owner wants to believe that their business is exposed to great risks; however, many situations may expose your company to lawsuits, liability and substantial expenses. An unfortunate number of these situations go unnoticed by many business owners until it is too late, making it important to discuss your risk management needs with an objective insurance agent. Comprehensive risk management is important to the well-being and overall success of your business; unaddressed risks may result in uninsured losses that could potentially cost your business thousands of dollars. Fresh perspective: You probably understand the major risks facing your business – property damage, car accidents and injuries are among the most common losses business owners work to avoid. While these are important issues to address, many other risks are less obvious, including cyber liability risks and special coverage for manufacturing companies. Our outside perspective allows us to review every detail of your business operations for potential risks and liabilities. Experience and insight: You are very good at running your business. 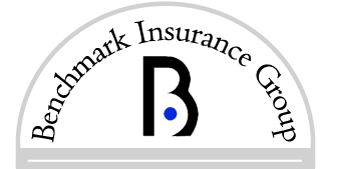 Our agents are very good at uncovering potential risks and helping you review insurance options to address them. With more than 30 years of experience serving Texas business owners, we’ve got the insight and skill needed to help you review all potential risks and create a custom insurance plan to address them. Cyber liability: If your business accepts electronic payments, handle sensitive customer information or store key information on the internet, you may be at risk for hackers and electronic theft. Cyber liability insurance protects against these risks and is an important coverage option to explore for many businesses. Premises liability: If you operate a business with a storefront or warehouse, it is important to protect your business against the liability associated with visitors. Premises liability claims, including slip and falls, can result in expensive legal action and substantial medical costs, making it important to manage these risks. Commercial auto: Even if you operate a small business with a minimal commercial fleet, it is vital to carry the appropriate coverage for your vehicles. Whatever your business needs, our agents are able to find a custom plan that protects your company and bottom line. Contact one of our agents at our San Marcos, Texas, office to learn more. As a business owner, what are the risks you face on a regular basis? How do you address those risks?